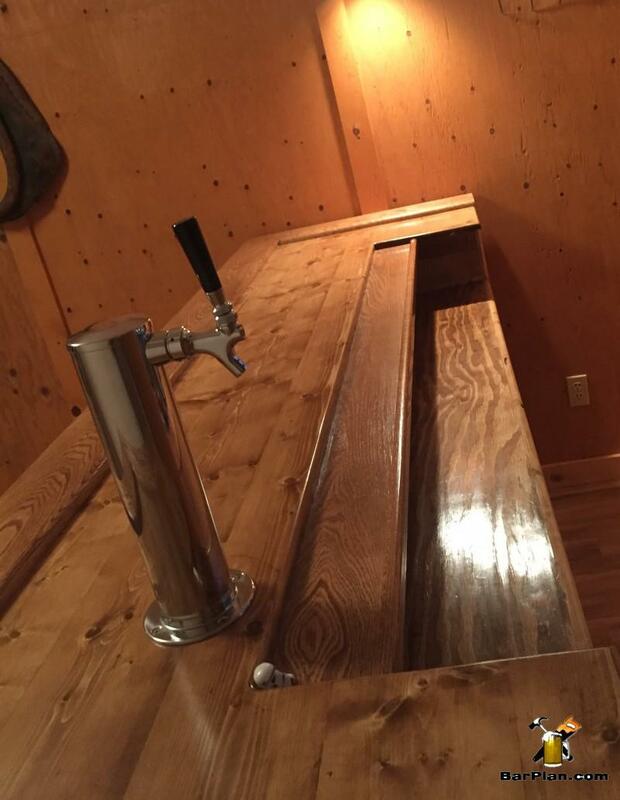 I love to get feedback from members who have built a bar from our plans. 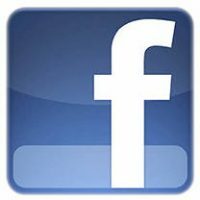 Probably better is when a member shares photos of what they’ve created. 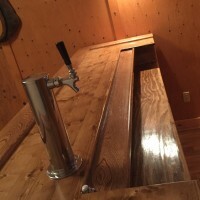 This interesting and seasonally appropriate “wormy” beer bar project was built by Craig H. and is submitted here for your enjoyment as our October 2015 bar of the month. Great job Craig! 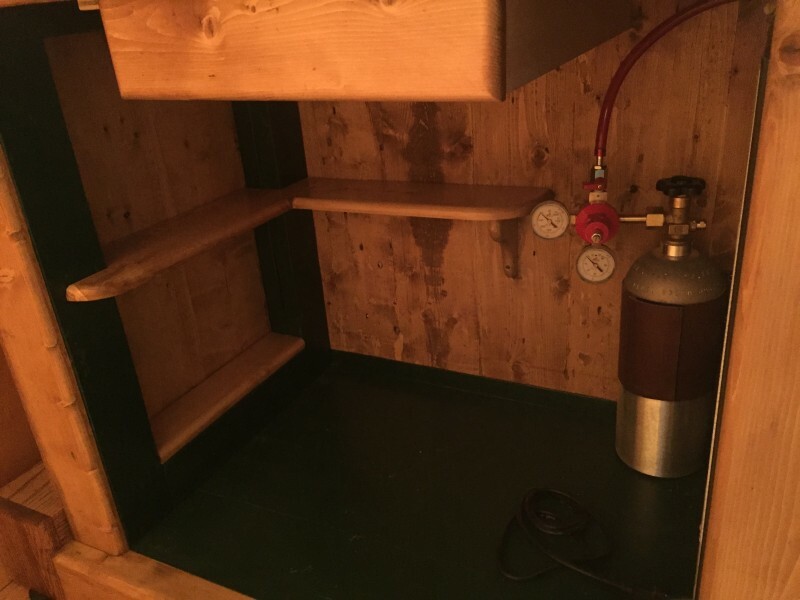 Craig stated out by using the EHBP-03 straight wet bar plan set. He then took it a step further by substituting the standard bar top and facing material with custom milled wood from his local area. 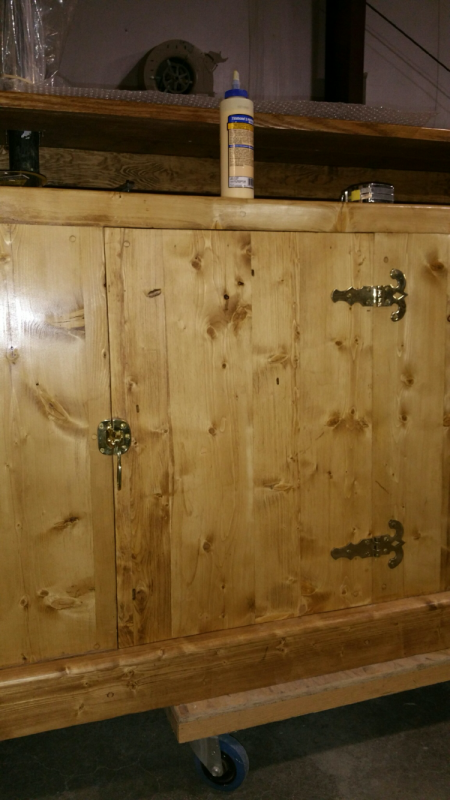 If you look closely, you’ll see the wood has little worm holes giving it added character and especially relevant for the Halloween season. 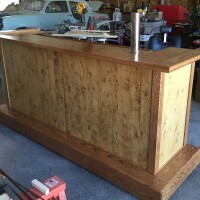 “So it’s taken me a while to start and finish my bar. We did make a few changes making it our own. Plans were easy to follow and I hope you enjoy the extras we put on it. Let me start with the lumber, we used oak for the arm and foot rest, the bar top is lumber from this area that we had a friend mill for us. 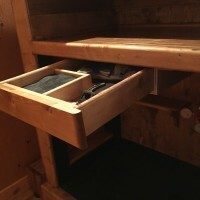 On the left side we added a few small shelves and a drawer. 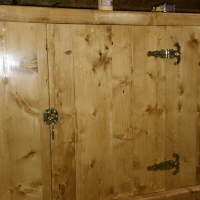 The frig door we made of the same lumber and insulated. Hope you find it as interesting as we do.” – Craig H.
The EHBP-03 can be built by anyone with just a few basic wood working skills. Our frame based designs need no fancy woodworking techniques. 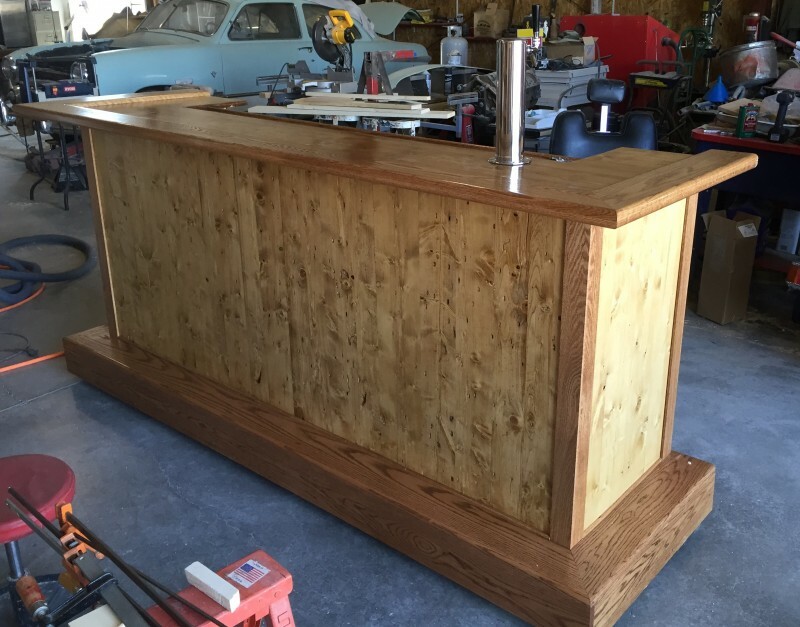 You can either build the bar in place or complete it in your shop. Can be moved with a few strong men. 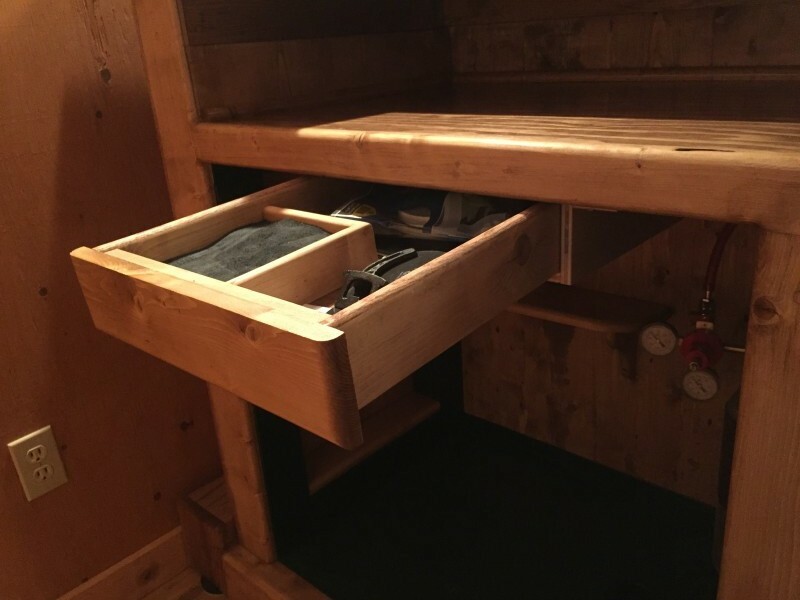 This bar model is stable and requires no special connection to the floor. 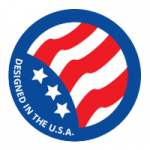 Miter saw recommended for arm rail and trim work. It takes 24 hours or maybe a bit longer for my keg box to hit 38 degrees which is about the right temp for my beer drinking preference. 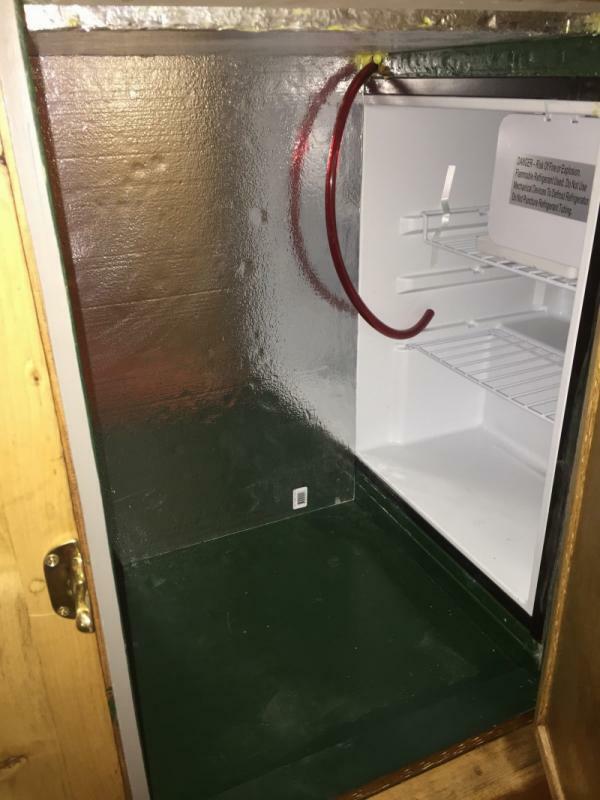 It depends on several factors…first…don’t open the door…be sure your keg is pre cooled at the store…not room temp. And…be sure you installed circulation fans. 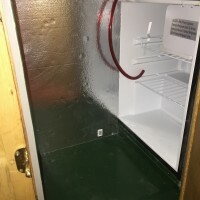 Check the forum for more keg box performance tips and ideas. 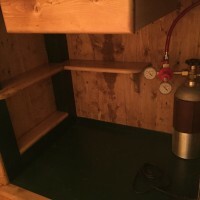 How long did it take you keg box to cool down and to what Temp will the Fridg keep it so I can gauge how mine is doing.